I want to show you a picture of my kayak. I’m gonna warn you, it’s pretty sad. This is where my kayak has resided for the last four years since we moved. 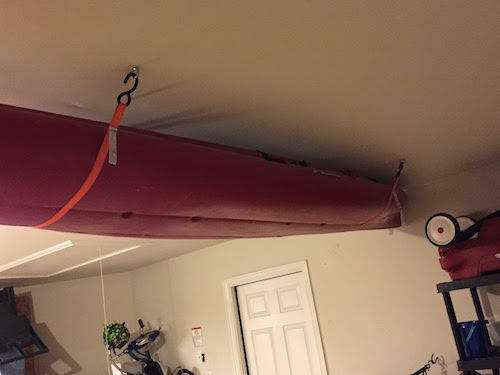 To my memory, it hasn’t come down since I put it up there.It is very, very sad.In some ways, this kayak serves as a relic of my life before children. In short, I had time to kayak.I would have full days with nothing to do but kayak. And fish. And camp. It was a symbol of a loose schedule where anything could happen and on many days I would wind up on top of this vessel going to parts unknown.But now it sits idle in my garage, casting disapproving looks down at me as I load our kids into the minivan. As many of you who have children know, they dominate most of your time. I never used clean house until 10 PM every night. But I do now. I never had to get up at 5:30, but my 10 month old often makes that decision for me. I used to have all of the time in the world to do what I desired and what was on my agenda, but my kids changed all of that. I had to make a decision once we had kids that certain things were not important anymore. My wife and I created a family. Where there was no family (as far as kids go) 6 years ago, now there are three. Something had to change. We had to make room. What was once really important for us (travel, late night dinners, sleeping in, sleep, sleep, sleep) was put aside to create room for three children in need of a warm and supportive home to grow up in. So many things are different, but it was because we made those choices. We decided to create that space. I have been thinking a lot about the idea of “making room” lately, especially when it comes to working with teenagers. Unfortunately, teenagers are asked to grow up in adult-created institutions (school, church, youth group, sports) and play by the adult’s rules. There are far too few adults who will truly “make room” for a teenager to be themselves without fear of being pushed out. So how can parents and other helpers “make room” for their teenager? Encourage your student to come up with a family or group “rule”. This needs to reflect something they value, not something silly. Create a “say anything” time of your day. It can be a pre-determined amount of time (chosen by the student) where the student can say what is on their mind without consequence (barring abuse to themselves or someone else). This can be done verbally or through an artistic medium like drawing, poetry, or song. This could be done with the parent or a trusted adult in their life. Let the student plan some part of the week. This means they can do what they want without the adults scheduling things. This might seem like a completely unproductive time, but for the student, it could mean everything! Have the student choose a movie or tv show to watch at least once a week as a family. This will give some insight into what the teenager is into at any given time. Create a question box that anyone in the family can contribute. Everyone should be required to submit a question a week (or whatever you determine) and answer that question as a family. These are just a few small ways teenagers can be given back some measure of control and understand they have a crucial role to play in the family. We have the choice to “make room” for students. 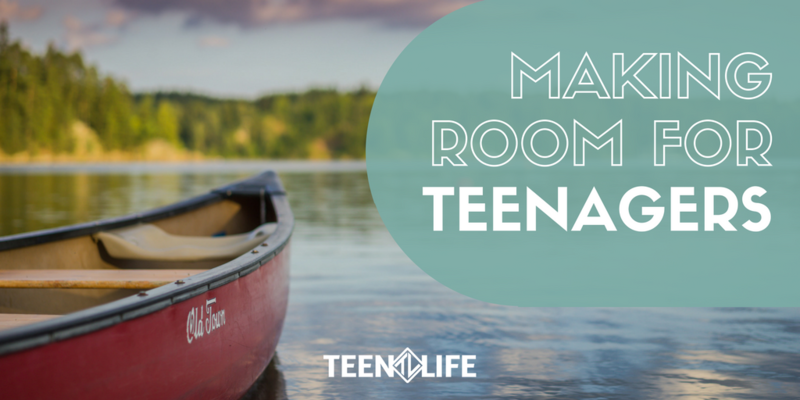 Share some ideas with us – what are some ways you “make room” for the teenagers in your life?